Economics Essays: Boom and Bust in US Housing Market. 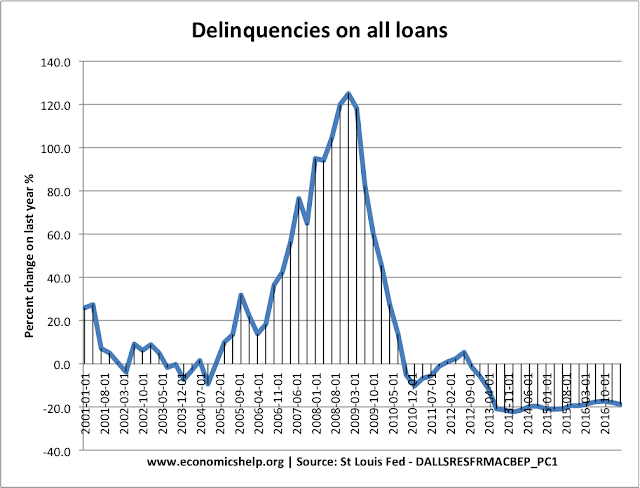 Between 2006 and 2012, the US housing market saw significant falls in house prices, combined with record levels of mortgage defaults. 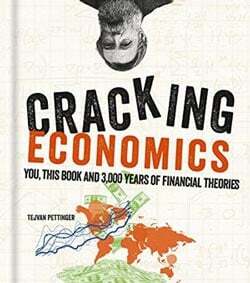 Many economists and housing experts have suggested it is a bust that was inevitable to occur. 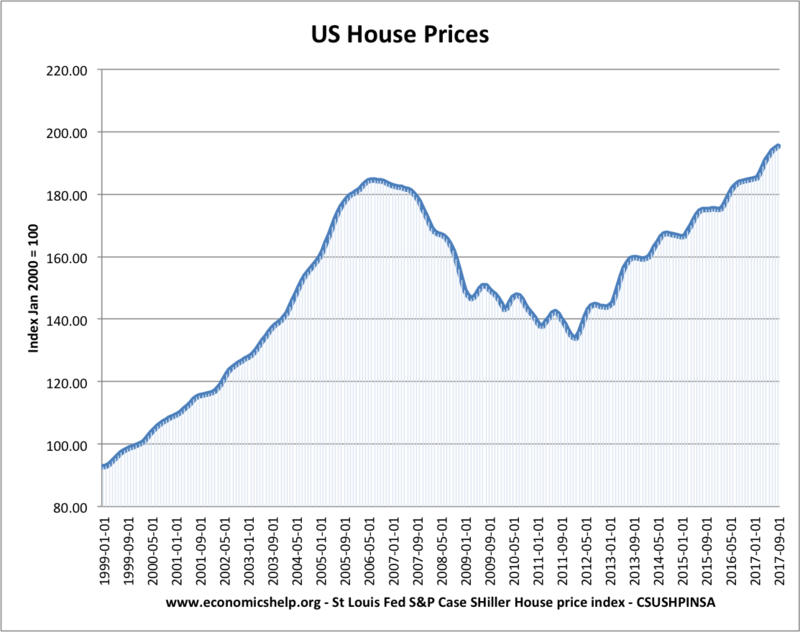 This short article looks at why the US Housing Market went from boom to bust. 1. House Prices Rose at Unprecedented Levels. The ratio of House Prices to Income has also increased significantly from the long term average. 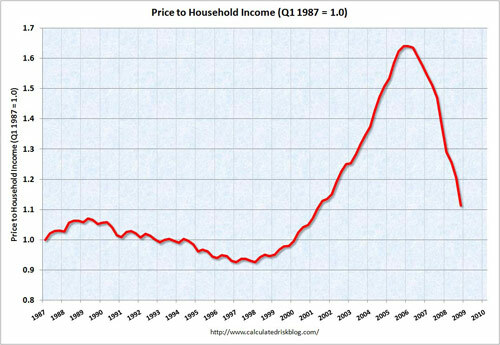 In 1952 house prices relative to income was 100% in 2002 the ratio was 190%. (2) This increased to over 200% by the end of the housing boom. The effect of rising house prices was that it was increasingly difficult for first time buyers and those on low incomes to buy a house. It also means that those with mortgages pay a higher % of their income in mortgage payments. This means they are more vulnerable to any changes in the housing market. Usually when house prices rise, demand moderates. 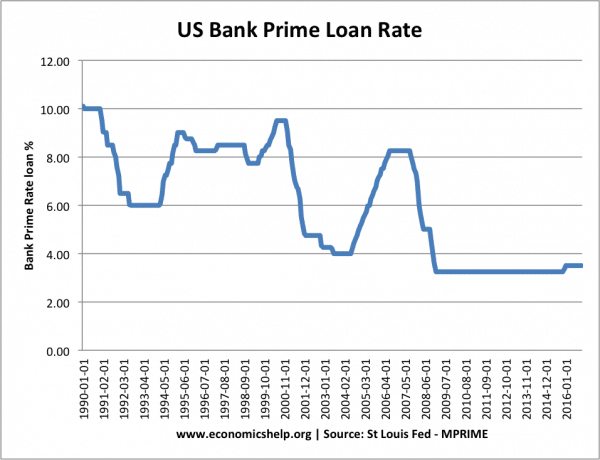 However, in the case of the US housing market, mortgage lenders were desperate to maintain sales. Therefore they just found new ways to sell the more expensive houses. 3. Increased Promotion of Discounted mortgages. Basically, this means for the first year or two the homeowner gets an introductory interest rate, making mortgage payments cheaper and more affordable. However, after 2 years the interest rates jumped to the standard variable rate. Unfortunately because of the way mortgages were sold, these facts were not always made clear; meaning many households on low incomes took out mortgages they would later struggle to pay. This will become an increasing problem throughout 2007 as more mortgages end their introductory period. 4. Increased use of Variable Adjustable Mortgages. A combination of factors - rising interest rates, higher unemployment and subprime mortgage deals caused record levels of mortgage delinquency. Rising house prices did encourage an element of speculation in the US Housing Market. Estimates suggest 25% of house purchases in 2005 were influenced by speculation (5) The Housing market was providing greater returns than the stock market, therefore this encourages buy to let investors. As house prices start to fall this section of the market changes completely. 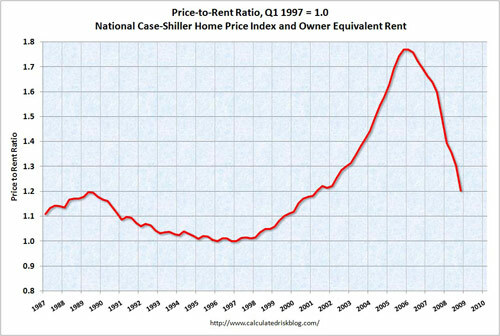 Next blog post: Effect of Falling House Prices on the Economy. Will it cause Recession?